Like Pele and Don Bradman, Dhyan Chand has a seat reserved at the table of legends. Myths surround Dhyan Chand, though he has no reams of literature to record his brilliance, nor highlight films for us to gasp at. They broke his stick in Holland (1928) to check for a magnet; the Japanese (1932) decided it was glue; Adolf Hitler (1936) offered to make him a corporal. 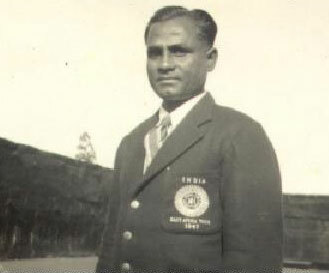 When Dhyan Chand was diagnosed with liver cancer at Delhi's All India Institute of Medical Sciences, they dumped him in the general ward. A journalist's article eventually got him moved to a special room. His funeral was held in his hometown Jhansi, on the ground he played on. Players came, but it seemed a little late. The opening words of his autobiography state, "You are doubtless aware that I am a common man."